Our friend Jarus has been recently trotting the globe painting stunning gigantic murals. One of his recent completions comes from Malaysia, where the Canadian artist painted a large scale young woman on her phone. The piece features his brilliant rendering technique with extra expressionist flare. The Urban Xchange festival is underway in Penang and loads of street artists have may their way out there to get busy on some walls. 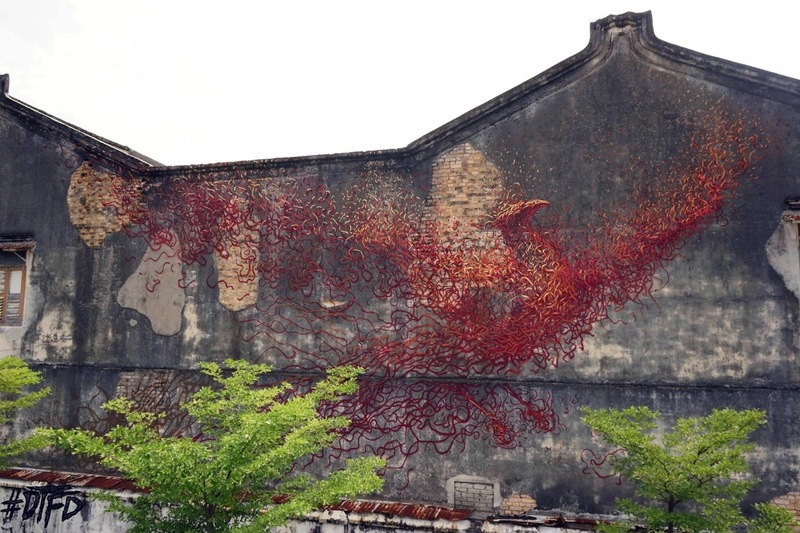 Most recently, DALeast got a chance to get some paint flowing and painted a giant phoenix on a wall near the Hin Bus Depot.